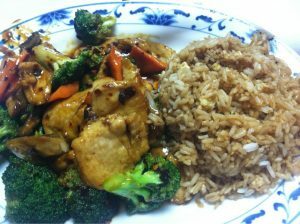 ***** Golden Rice Bowl Chinese Restaurant, 3276 North State Road 7, Lauderdale Lakes, Florida 33319, (954) 486-6868. 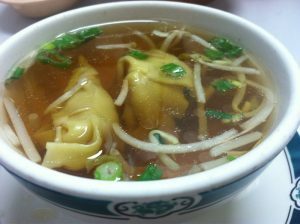 Got a terrific- Chinese joint for you guys to checkout, Golden Rice Bowl Chinese Restaurant in Lauderdale Lakes. Applying Jeff Eats’ Jewish American Brooklyn Chinese Food Taste Test circa 1957- I gotta rate Golden Rice Bowl as one of the best Florida- Chinese joints that I’ve eaten in during the past 25 years! 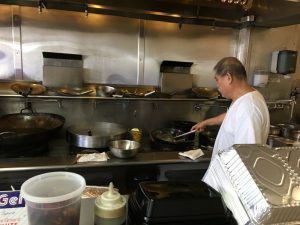 As for the lay of the land, Golden Rice Bowl is basically a hole in the wall take-out joint that has something like 6 tables (4-tops) in the rear of the store and a counter (you can watch the cooks-cook) that seats 6 if you want to eat there. 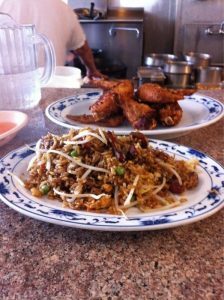 The joint’s menu has the full boat of expected appetizers like egg rolls and bbq ribs- as well as lunch and dinner combination plates and early bird specials. 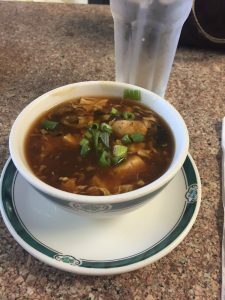 On the price-and portion fronts, neighborhood Chinese joint prices and big portions. 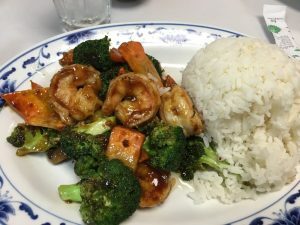 Long story short, this past Saturday night- Jeff Eats and Mrs. Jeff Eats “countered” it at Golden Rice Bowl and its food was off the chart delicious! Let me also add, that the waitress who served us was as pleasant as could be! 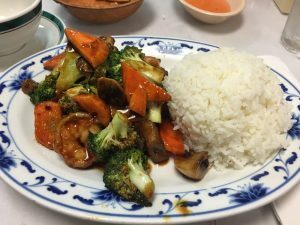 Like I told you guys at the start of this essay, definitely some of the best Chinese food I’ve eaten down here in Florida during the past 25 years. 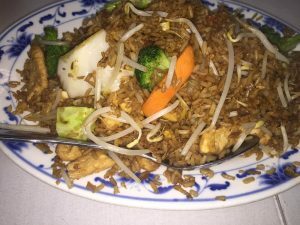 Golden Rice Bowl Chinese Restaurant is open a Monday-Thursday 11:30am-10pm, Friday 11:30am-11pm, Saturday noon-11pm, closed Sunday. 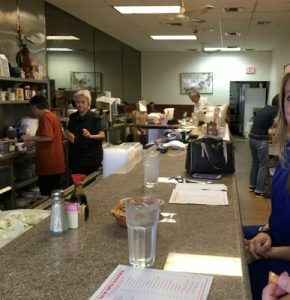 My wife and I have been eating there for over 20 years. They have to be open on Sunday to be Jewish Chinese! Thanks for the recommendation. On your say so my wife and I tried tonight and you are right, amazing food.